Mary Markus: 'An attempt to Discriminate the Styles' – the sculptors of the Harrington Tomb, Cartmel. The Harrington tomb, in the south choir aisle of the priory church at Cartmel, is a fascinating mixture of iconographical ideas. 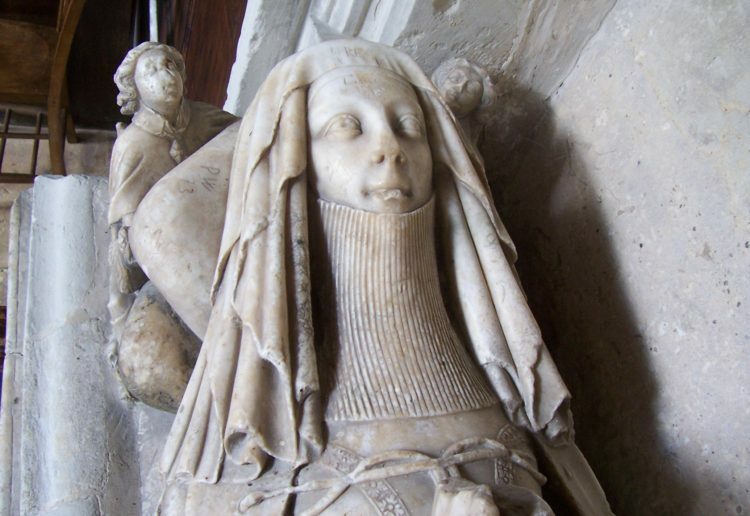 At least three separate hands can be identified in the tomb canopy and the effigies of Sir John Harrington, d. c. 1347, and his wife Joan (née Dacre). The tomb marks a culmination, in the north-west of England, of evolving sculptural styles and expertise and expertise, which can be traced through a series of monuments, from the 1320's to c. 1345 including the shrines of St William at York and St Werbergh's shrine at Chester. That the tomb involved this team of at least three sculptors is not surprising considering the large size of the monument and its ambitious sculptural programme. The stylistic sources these sculptors drew upon were both innovative for the north-west of England and indicative of the aspirations of the tomb patrons, who, like other patrons, were trying to reflect their hopes for the after-life in the appearance of their tomb. Discusses a group of monuments from the first half of the seventeenth century which give expression to the break-up of a marriage, usually by death, and the extent to which some of them incorporated Eros as well as Thanatos, using the vocabulary of sexual love in a context of grief. 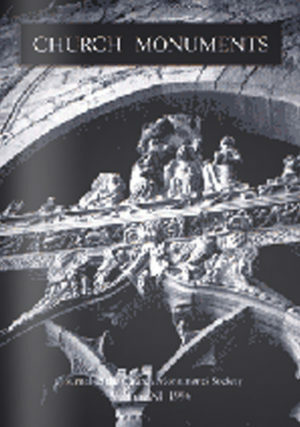 Examines Frampton's monuments and memorial plaques 1891-1905 and discovers the effect his distinctive Arts and Craft style had on prevailing neo-classical tastes.